Foosball balls, these days, are available in many varieties in the market. These different Foosball Balls have their own style of play and unique level of quality. It is always advisable to choose the best Foosball Ball that grips and pins down to your Foosball table easily. It is also important to consider your Foosball Table’s player figurines and their features too while choosing a Foosball Ball. 3 How much do they cost? 4 Choosing the right one! In general, it is good that you stay away from a few Foosball Balls. Some to be mentioned are balls that are made of plastic or the balls that are made with a slick are good to be avoided. Some balls are seen to have a shiny finish. It is good to avoid those balls too. 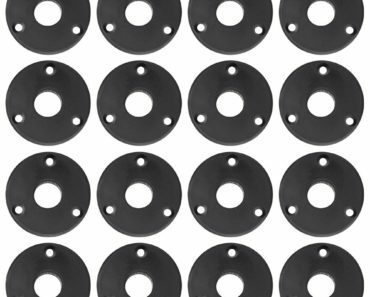 A nice thing about a Foosball table parts is that you can upgrade the standard balls which comes with the Table while purchasing to any great quality balls. But if you had purchased the top quality Foosball table then you need not to worry about the quality of the balls. There is also an exception as some tables require uniquely designed balls because of the way the table was designed to play. As an example, Foosball table originated in European countries make use of Cork Balls. 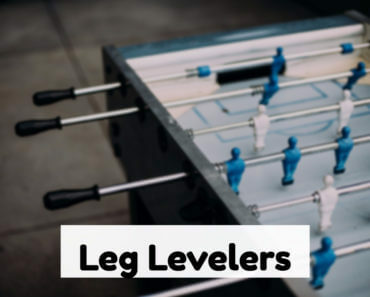 This is because European Foosball tables are designed for pinning the ball down and they require impressive delicacy and skill. American tables do not make use of such high-end tables. American tables are generally designed to withstand hard outside surface and a fast gameplay. A wide range of materials is used in the manufacturing of balls. They are normally made of any of the 4 mentioned materials, namely – Cork, Textured, Smooth and Traditional Soccer balls. Only the Corkball is an exception in these materials while cleaning. You can clean all the balls (except balls made of Cork) with Soapy water or any solution with 70% alcohol and a wet rag. The various types and a brief note of them are mentioned below. The Textured balls are commonly found in American Foosball Tables like the Tornado and the Dynamo lines. Textured Balls are a blend of Cork and Smooth Foosball balls. This allows the balls to be pinned down between the man and the table. They also possess a dense and rigid feel. This makes them suitable to travel at high speeds after a good shot. This also creates more noise as the ball is bounced off the walls of the table or after a goal is scored. The Cork balls are commonly found in the European Foosball Tables. The play style in a European Foosball table is more advanced than that of an American Table. The game is more based on strategy, deception and perfect execution of pinned shots. The pinned shot is executed by trapping the ball between the man and the table. You can strategically pass the ball from the pin forward to advance it or even score a goal. Unlike the noise produced by the textured balls, a Corkball makes more of a muffled or thud sound as it bounces off the wall. In a skilled European Foosball game, cork balls are highly preferred as they are known for its sticky and tacky nature. 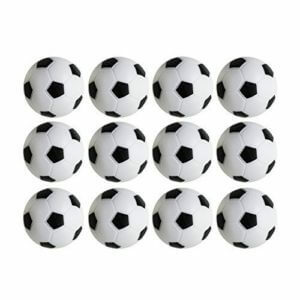 Traditional Soccer Balls are mostly found on the low end and cheaper Foosball tables. One cannot feel the perfect experience in Foosball tables which use these traditional Soccer balls. The reason is that the tables which use traditional soccer balls are used more like a toy than a sports table. The performance of the balls is also not up to the mark. The main disadvantage of a traditional soccer ball is the inset lines. This keeps the ball rolling always which makes us feel that the table is not leveled properly. One more major drawback is that the balls are provided with an extremely slick coating on the outside. This makes it difficult to pin, grip or control. The noise produced by these balls as they bounce off the walls are also too high. The only good thing about these balls is its low cost. Smooth Foosball Balls are also similar to the traditional Soccer Balls but are better than them in some aspects. Smooth Balls do not have the inset lines. Hence, they roll in a predictable manner on the playing field. They still lack the tacky factor which makes it quite hard to control. It is also covered with an extremely slick coating making it further difficult to be pinned down. These balls also produce a loud and undesirable noise. The starting price is USD 2. It may range up to USD 6 depending on the quality of the ball you purchase. You can buy foosball balls in different places online or offline. 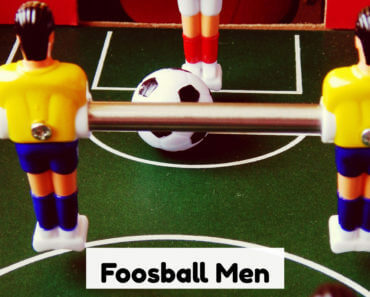 One good place to buy foosball balls is on Amazon. Considering the importance of the Foosball Ball in a Foosball game, it is very essential to consider the following points while choosing them. They are available in a variety of sizes which will suit different tables. A Foosball table can support more than one size of a Foosball Ball size. It is therefore very important for you to ensure that a ball fits through all the openings in the Foosball table. If you have smaller than correct size of the ball, it will become hard to contr the old ball. The weight of the ball is of primary importance while choosing. A Ball with the correct weight will be very reactive and adjusts perfectly to any small adjustments made to the shot. If the weight of the ball is very light, it will move faster but becomes hard to control it. A ball with more weight is exactly the opposite. It is easier to control but the pace of the game becomes very slow and uninteresting. A Ball made of plastic or are smooth to touch is difficult to pin down to the playfield with the help of the Foosball play figurines. This results in a drastic reduction of a variety of shots that are performed in a Foosball game. Hence it is a wise choice to look for foosball which is sticky and provides good grip. These balls tend to respond well to your shots. 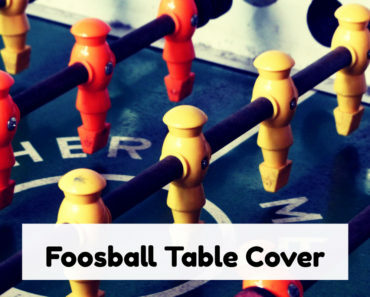 An excellent and top end Foosball table become inefficient if you use a low-quality balls. If you are a beginner, you can start off with a low-cost Foosball ball and improve yourselves from there on. It is always better to go for a right-sized ball with correct weight and perfect grip to experience a great foosball game.